The Brands Hatch seat uses an up to date design but in a vintage style, providing the user with the best of both worlds in that the safety and usability of the seat is in a forefront but without sacrificing looks that are typically 'period' in a historic/classic vehicle. The tubular steel framed construction provides the seat with strength and rigidity but without high weight gains as the seat weighs only 7.5kg. 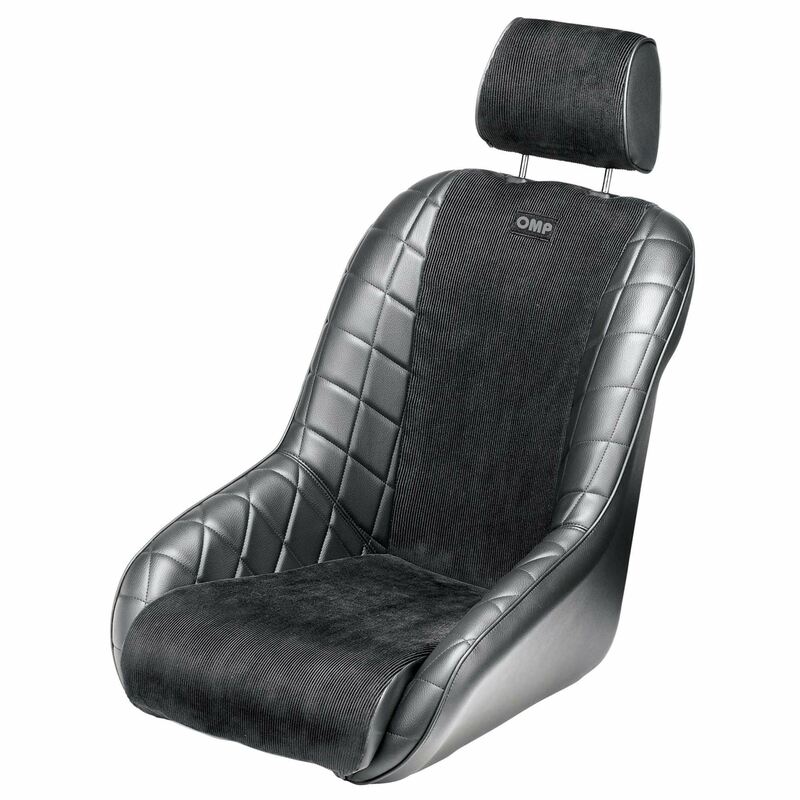 The seat material on the side bolsters and reverse of the seat is a synthetic leather providing the user with the appearance and excellent value. The side bolsters contain a quilted type pattern, again promoting its visual appearance, whilst the velour 'corduroy effect' material on the seat and back rest reduces passenger lateral movement and contrasts to the outer covering and side bolster material.